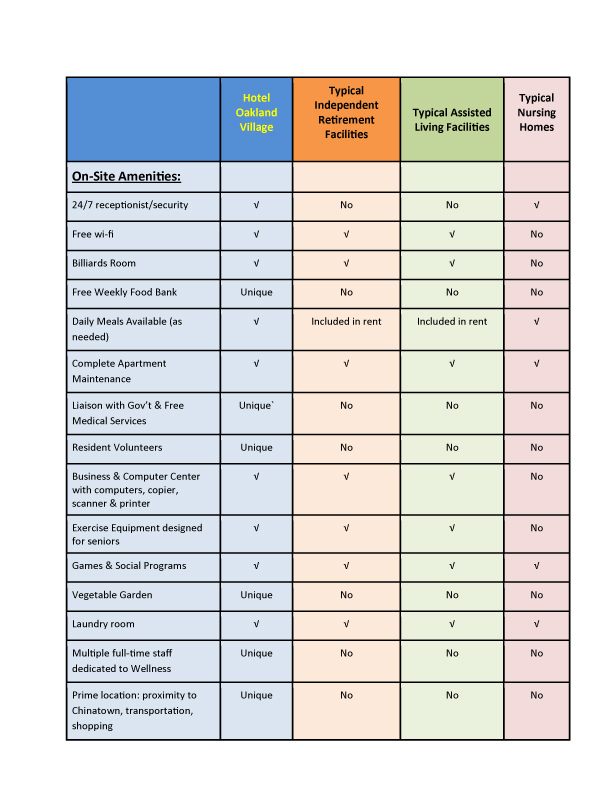 Hotel Oakland Village Management is often asked to compare the free services available at Hotel Oakland Village to services available at typical independent living communities, assisted living facilities and even nursing home level care. 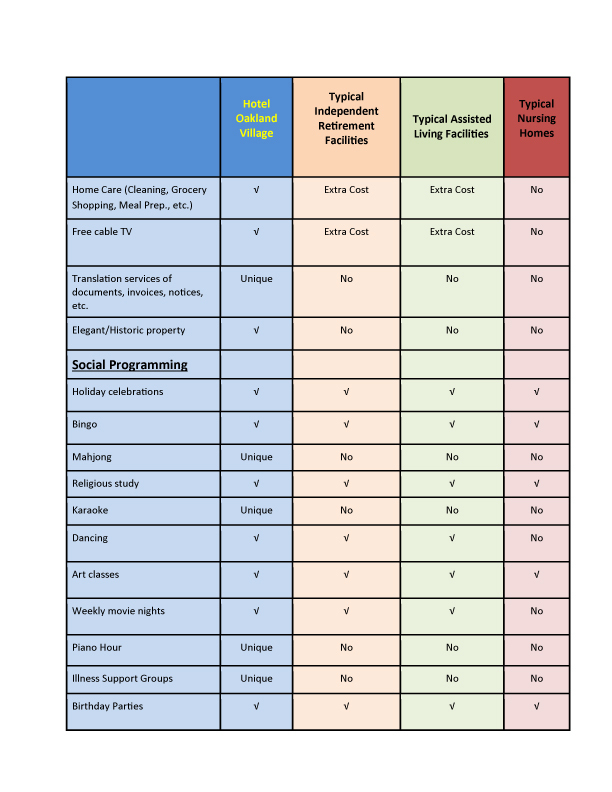 As you can see from the following chart, the extensive, free services available at Hotel Oakland Village are unmatched by independent living communities, assisted living facilities and even nursing home level care. 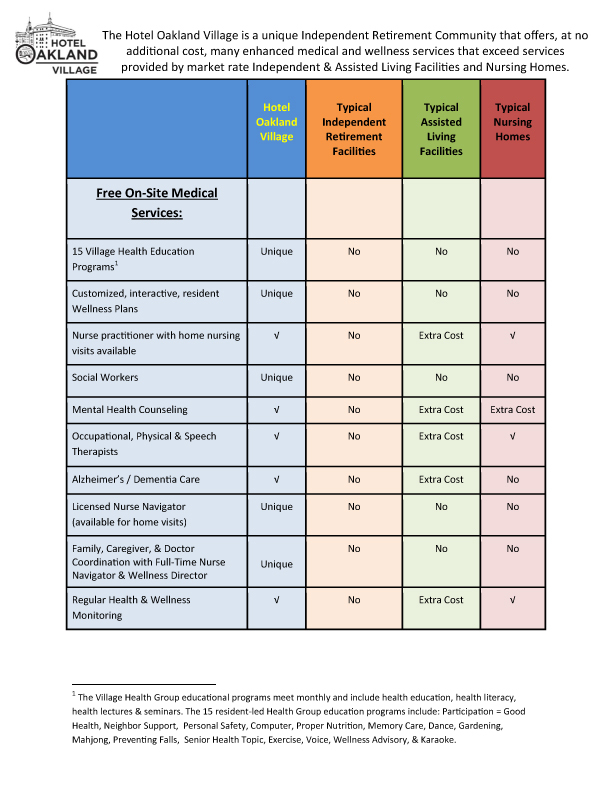 In many cases, none of these other market rate communities offer these services at all. 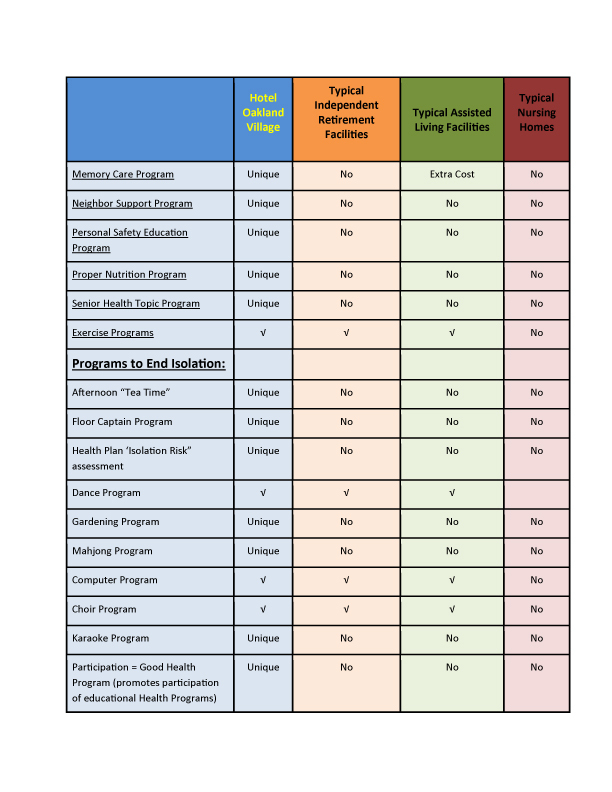 When they do, there is often extra cost associated with those services as the chart demonstrates. 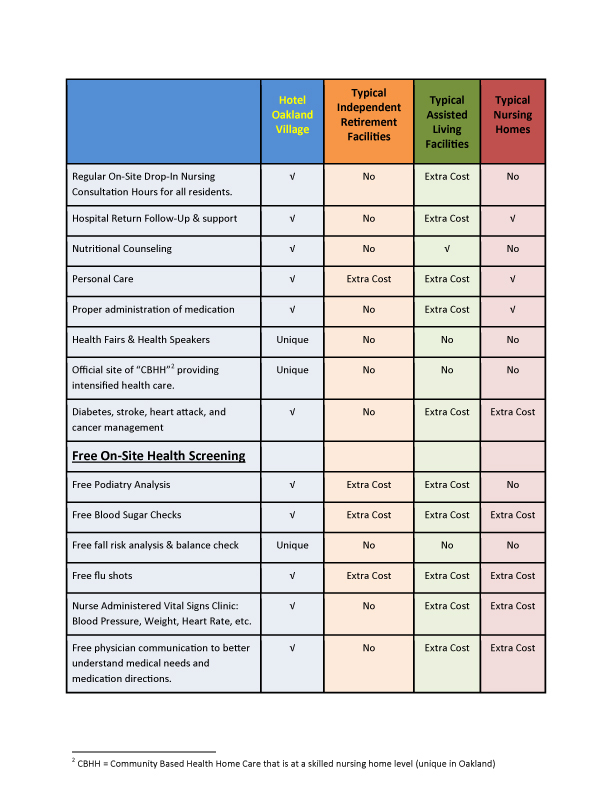 Please scroll through the six-page chart below. 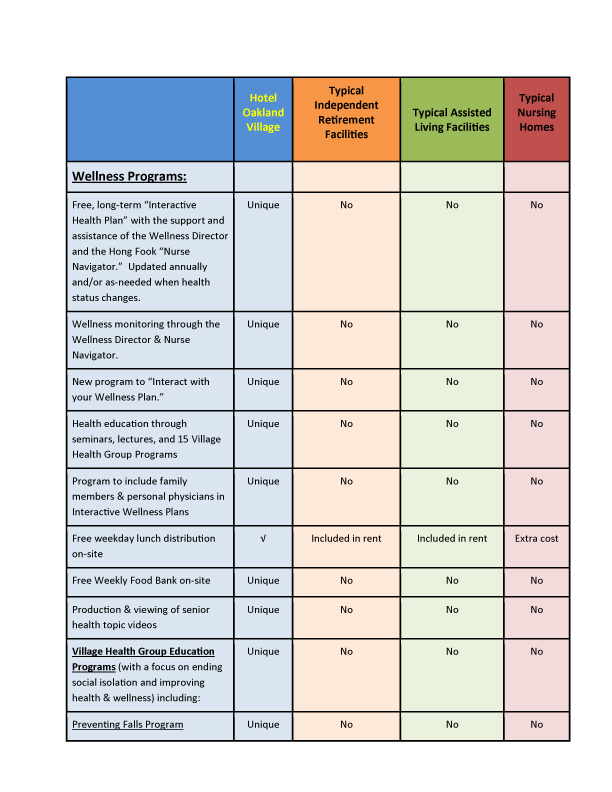 ← Hotel Oakland Village visited by Government Health Agency from Singapore!